Posted by santos. This entry was posted on 20051117 at 12:54 AM You can skip to the end and leave a response. Looks great Santos - So when is the Kalua Pig restaurant opening? 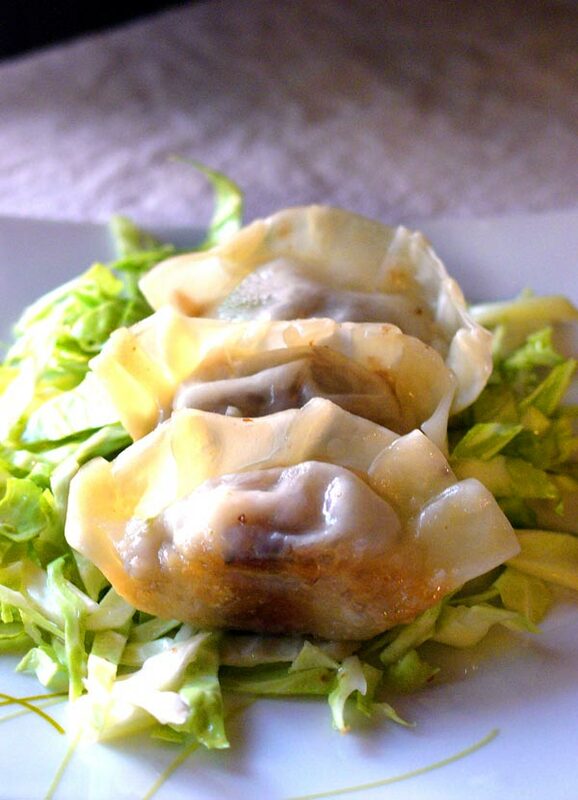 I've actually had Kalua Pork Potstickers in a restaurant - but your looks alot better! My Buddy who owns a Sushi Bar makes me Kalua Pork "Maki". 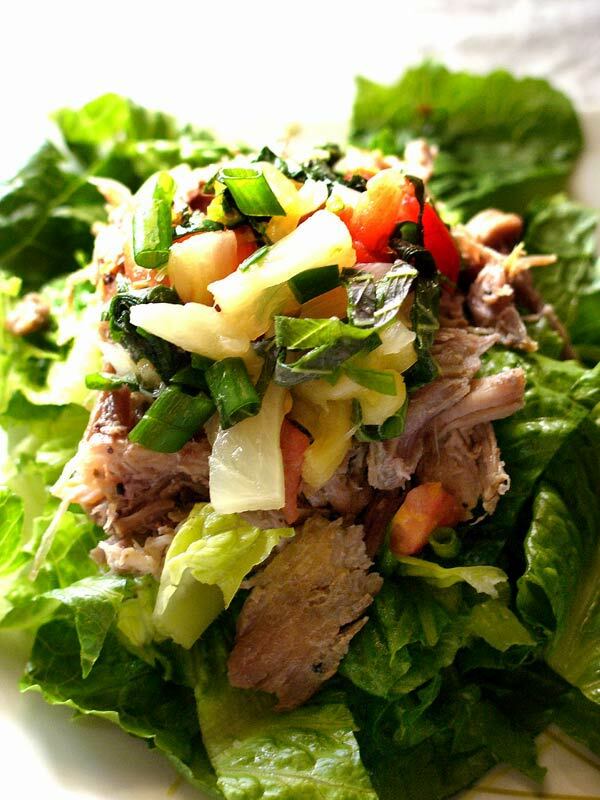 One of my fav's is Kalua Pork in Pan De Sal. But you've really this Haute Cuisine! Those dumplings look fantastic, Santos. Do you find you have any trouble getting them to stay sealed? (Doesn't look like you do...) Mine usually go pop. Dont' forget the crispy skin, there is nothing like dry, crispy pig skin, here in Italy it comes with some bristle still attached to it but I could care less! hey kirk--ooh. pork maki. i can imagine the possibilities. what about a luau roll with kalua pig in the middle and topped with some lomi? squeezeweasel! i didn't have a problem. i think the secret is only wetting one side of the dumpling wrapper to seal it (water sticks to flour, doesn't stick to more water), and pushing out any air. hi gia-gina! bristle. funky. a lot of bristle or just a little? i don't think i could handle something really hairy. Santos - Making me think of all the possibilities makes my head swim - like a Luau Napolean - kalua pork on the bottom, laulau filling in the middle, and lomilomi salmon on the top, but you've got to find some way to add poi in here? Oh My, and I haven't had breakfast yet. hey kirk--that napoleon sounds ono, are you gonna make it? hey maia! i know, isn't it crazy? i bought a rug from them, such cool stuff. I just stumbled upon your blog while I was surfing and fell in love with your journal. Now I know why I miss Agana....FOOD!